I wanted to do a quick update on the changing situation for Sunday. It appears that the weather model data has come in wetter with this next system. This will NOT be a major system and will be mostly a nuisance event for those outside of the mountains of NC. 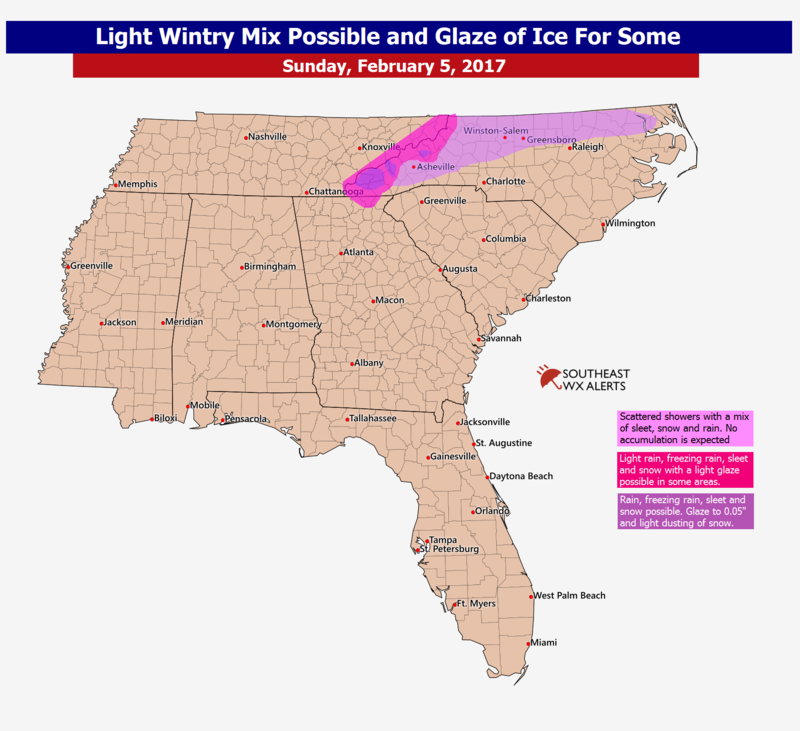 However, some areas as indicated on the map below will see a glaze form on elevated surfaces, bridges, and overpasses. Again, this is NOT a major event but it only takes a small amount of ice to cause a wreck and cause injury. Be careful tomorrow and hopefully this will pass without incident, but I wanted to warn everyone in case it keeps trending wetter. The map below is normally only issues for Premium Members Only, but I wanted to warn everyone about this impending and changing situation. Be sure to sign-up for a premium membership below and you will get many more benefits. We will be updating our premium members about the chance for a winter storm for late next week in our Monday update. Members will receive updates 2-3 days before posted on Facebook and now we have a private Twitter account for more frequent updates daily. Be safe and God Bless.